Holding a door open for someone else is a polite gesture that often goes unnoticed. But for a boy named Josh, opening doors for others became an act of courage that changed his whole life. Josh’s story has been taking the internet by storm: After being bullied at his high school, he changed schools to try to make a fresh start. At his new school he wanted to find a way to distinguish himself from the other kids. He decided to start by opening doors for his classmates and offering a greeting to every person as they passed. Josh was feeling upset, but instead of acting sad and angry, he decided to start holding doors to make himself feel better. Are there things that you like to do that can make you feel better when you’re sad or angry? When you’re going into school or into a new place, how does it feel to have somebody take the time to smile and say hello to you? How does it feel when nobody says hello? One of Josh’s classmates says in the video, “Even just a few words can affect someone so negatively.” Has anyone ever said something to you that made you feel badly? Is it easier to remember a bad thing that’s been said to you, or a kind thing? Several of the kids in the video admit that it was “weird” at first to have Josh open the door for them every day. 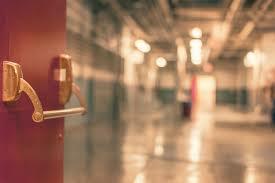 Why do you think Josh kept opening the doors, even when his classmates didn’t respond positively? Josh says that after a few weeks, “People started to open up to me. Opening a door is more than a physical act. It’s about putting yourself out there…it gives people hope that people care.” Can you think of something small that you could do every day to “put yourself out there” and show caring to others? What are 5 words you might use to describe Josh? Josh’s mom says she thinks his message to kids is “Fight back in your own way, maybe with a little kindness.” What do you think it means to “fight back with kindness?” Have you ever used kindness to fight back against something?